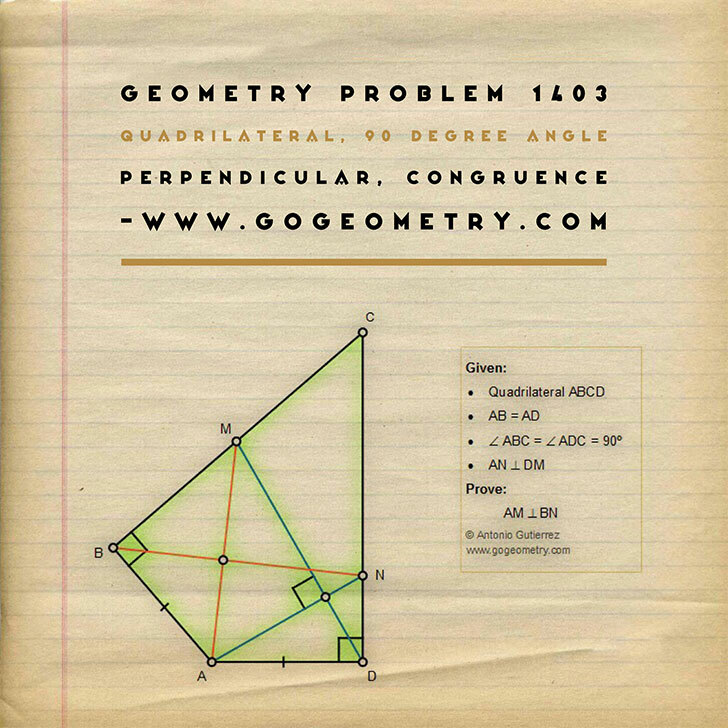 The figure below shows a quadrilateral ABCD, AB = AD, angle ABC = angle ADC = 90 degrees. If AN and DM are perpendicular, prove that AM and BN are perpendicular. This entry contributed by Erina-NJ.